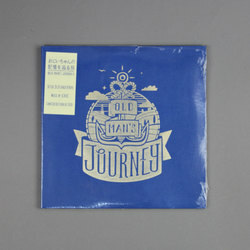 scntfc - Old Man's Journey . Vinyl LP. Bleep. After having his score for Oxenfree issued through iam8bit back in 2016, composer and sound artist scntfc sees the OST he cooked up for 2017 game Old Man’s Journey given the same treatment. It’s a beautiful blend of sea-shanty guitars, music-box melodies and ambient textures that deserves to be heard in its own right. iam8bit have really gone all-out with the vinyl package - artist Arno Kiss’s cloth-wrapped set, replete with postcard inserts, is intended to look like the kind of book that the game’s nautical captain character might have had on his ship.